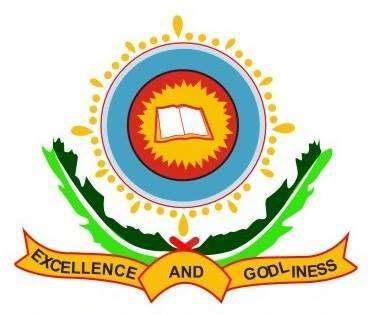 Authority of the Bowen University, Iwo, Osun State has released the amount payable as fees by undergraduates & postgraduates of the institution for the 2017/2018 academic session. Bowen University School Fees Structure. FACULTY OF AGRICULTURE: Students in the Faculty of Agriculture are required to fully pay all Fees and Levies in Schedules C, D and E as applicable PLUS a minimum of N300,000.00 from the Session Fees (Schedule A) in the First Semester before Registration. The balance are to be paid on resumption for the Second Semester. FACULTIES OF SCIENCE & SCIENCE EDUCATION AND SOCIAL & MANAGEMENT SCIENCES: Students are required to fully pay all Fees and Levies in Schedules C, D and E as applicable PLUS a minimum of N350,000.00 from the Session Fees (Schedule A) in the First Semester before Registration. The balance are to be paid on resumption for the Second Semester. FACULTY OF LAW: Students are required to fully pay all Fees and Levies in Schedules C and D PLUS a minimum of N600,000.00 from the Session Fees (Schedule A) in the First Semester before Registration. The balance are to be paid on resumption for the Second Semester. ANATOMY AND PHYSIOLOGY: Students in Anatomy and Physiology in the Faculty of Medicine are required to pay all Fees and Levies in B, C, D and E as applicable PLUS a miniimum of N350,000.00 from the Session Fees (Schedule A) in the First Semester before Registration. The balance must be paid within the first week of resumption of the Second Semester. NURSING AND PHYSIOTHERAPHY: Students in Departments of Nursing & Nursing Science and Physiotheraphy are required to pay all Fees and Levies in B, C and E as applicable PLUS a minimum of N400,000.00 from the Session Fees (Schedule A) in the First Semester before Registration. The balance must be paid within the first week of resumption of the Second Semester. MBBS Pre-Clinical: Students in the Pre-Clinicals of the Medicine and SurgeryProgramme are required to pay all Fees and Levies in B, C, D and E as applicable PLUS a minimum of N900,000.00 from the Session Fees (Schedule A) in the First Semester before Registration. The balance must be paid within the first week of resumption of the Second Semester. MBBS Clinicals: Students in the Clinicals of the Medicine and Surgery Programmes are required to pay all Fees and Levies in B, C and D as applicable PLUS a minimum of N750,000.00 from the Session Fees (Schedule A) within the first week of resumption in March, 2017, a second instalment of N750,000.00 on or before July 31, 2017 and the balance of N491,500.00 on or before November 30, 2017. FACULTY OF EDUCATION: Students in the Faculty of Education are required to fully pay all Fees and Levies in Schedules B, C and E PLUS a minimum of N250,000.00 from the Session Fees (Schedule A) in the First Semester before Registration. The balance are to be paid on resumption for the Second Semester. NOTE: All Students are required to registered for their semester courses within the first three weeks of resumption. Registration is contingent on payment of all prescribed fees. Late registration after three weeks attracts a penalty of 5 percent of whatever amount stands against the student as total outstanding fees. · Feeding shall be by approved Cafeteria Services for which students themselves Pay As They Eat (PATE). *BUPAF - Bowen University Parents Association Forum. Fund is directly payable to BUPAF at the point of registration. 2. Accounting Technician Scheme – N40,000.00 per exam (For Accounting, Business Administration, Banking and Finance and Economics only. This is a voluntary professional programme). *** MB;BS Induction: All graduating MB;BS students are required to be inducted by the Medical and Dental Council of Nigeria (MDCN). The induction fees charged in 2017 to cover MDCN Registration fees and other anciliary expenses is N200,000.00. This amount may change in 2018 if there are changes in the MDCN Registration fees and/or other anciliary expenses. · The required Semester fees must be paid in full before registration. · All Students are required to obtain registration forms from the PG School, register for their semester courses and submit the forms to the PG School within the first three (3) weeks of resumption. Late registration after three weeks attracts a penalty of 5% of whatever amount stands against the student as total outstanding fees. · &nbsnbsp; All Students are required to obtain registration forms from the PG School, register for their semester courses and submit the forms to the PG School within the first three (3) weeks of resumption. Late registration after three weeks attracts a penalty of 5% of whatever amount stands against the student as total outstanding fees.
. Ph.D Programmes not completed at the end of the six semesters attract payment for extra semester fees. Extra semester fees include (A) Registration PLUS 50% of other fees listed in B (4, 5 & 6) and C (7) as appropriate. · Balance of N100,000.00 payable before or on resumption of 2nd semester. Click Here to download to access Bowen University school fees structure. You will however need a device that is capable of opening PDF file to access it.